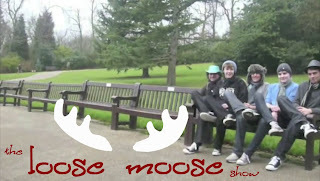 This is not made by the quintets of the Loose Moose but by Yuni, a fan from Indonesia. She also owns this blog, Madine Lover. Instead of a Libera blog, she decided to make a blog for the Loose Moose shows and updates. Wonderful idea too :). In this way we can keep an eye on any of their updates just by clicking on the link below the photo. Terima kasih, Yuni :).